WG#13 Jean Ross Howard Phelan founded the Whirly-Girls on April 28, 1955, in hopes of developing an organization where female pilots could share information and camaraderie regardless of country, race, religion or politics. She was one of 13 charter members representing women helicopter pilots from France, Germany and the United States. As founder and first president of the organization, Jean encouraged the establishment of hospital heliports and the use of helicopters in emergency medical service. Today, there are more than 1,900 registered members representing 45 countries, two territories, one Crown Dependency, and one Special Administrative Region and we are still growing. The Whirly-Girls International is an official affiliate member of the Helicopter Association International. 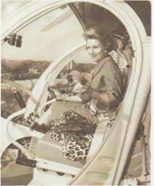 WG#13 Jean Ross Howard Phelan obtained her helicopter rating at Bell Helicopter School in Fort Worth, Texas, now Bell Helicopter Textron, in June 1951. Lawrence Bell was the first commercial helicopter manufacturer. He used to tease Jean and called her “Whirly-Girl” while she trained for her helicopter rating. Jean and Mr. Bell thought the world of one another, and they shared many laughs. Jean decided to name the organization Whirly-Girls out of respect for Mr. Bell. Some of the original charter members only supported the name once they found out that it came from Lawrence Bell. Years later, the Whirly-Girls membership brought a name change up for vote. It was soundly defeated. Whirly-Girls is still used today as a tribute to both WG#13 Jean Ross Howard Phelan and Lawrence Bell. Each Whirly-Girl is assigned a number upon joining and for many years, that number correlated to how many women helicopter pilots were licensed in the world. For example, WG#5 was the fifth woman in the world to get her helicopter rating. WG#1 Hanna Reitsch was the first woman in the world to fly a helicopter. In 1938, she flew the world’s first successful he licopter, an FW-61 Focke-Achegelis, inside the Deutschlandhalle (auditorium) in Berlin, Germany. She was a world record holder for sustained flight and altitude in gliders, flew horizontal bombers, dive-bombers, fighter planes, and a ME 163 rocket plane. She was the only person, male or female to ever successfully fly the V-1 rocket. WG#2 Ann Carter was the first woman in the United States licensed to fly a helicopter. She was hired as a pilot for the Met ropolitan Aviation Corporation, one of the first passenger helicopter services in America, thereby becoming the first woman helicopter pilot hired by a commercial aviation operation. She flew sightseeing tours around New York City and was the world’s first female commercial helicopter pilot. 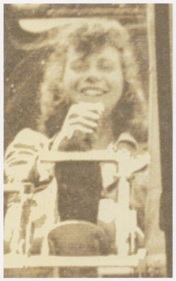 Nancy earn ed her helicopter rating in 1947. 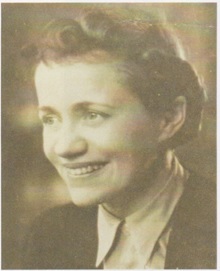 Previously she had flown with the British Air Transport Auxiliary during World War II. She is the lowest number Whirly-Girl still living. 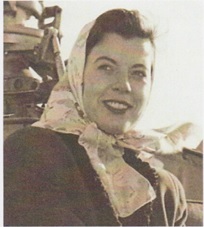 WG#5 Marilyn “Lyn” Grover Heard Alexander began flying during World War II with hopes of joining the Women’s Airforce S ervice Pilots (WASP), but was considered by the U.S. military to be too young and too late. She was one of the first women pilots in the air cargo industry and often had to fight to gain entry into the cargo field. She flew for many short-lived airlines. She was the first woman trained at the Bell Helicopter factory. WG#6 Dr. Valerie Andre was the first French female to become a Gener al Officer, the first female chief of medicine in a women’s infirmary, and neurosurgeon. In 1950 she became a helicopter pilot and flew 150 medical missions, notably during the siege of the fortress of Dien Bien Phu. She received many military decorations including the Legion d’ Honour, seven citations of the croix de guerre, the U.S Legion of Merit, the Cross of Valour (Vietnam) and was medical chief of a helicopter squadron. She flew 129 helicopter rescue missions and made two parachute jumps under combat conditions during the French-Indo China War in the early 19050s. She would pick up critically wounded soldiers, fly them to a safe field hospital and then occasionally also perform their life-saving surgery. MASH units were later based on her example. She spent 33 years on active duty with the French Air Force and retired in 1981 to become France’s medical inspector general. She has written two memoirs. ing in 1939 and instructed in military programs during World War II. She was the first woman in the U.S. to become a helicopter instructor. Later she owned several airplanes, including tail draggers. She flew for fun and helped found the Tail-Draggers Club. Her dog, Sinner, became the Whirly-Girls unofficial mascot and was well loved. instructor, and an aviation entrepreneur. She made her first solo flight got her pilots license in 1928. At a checkride in 1931 the government inspector told her he had never licensed a woman and didn’t want to start. When she was denied the chance to fly for the military, she became an instructor and taught military pilots. When she was refused employment by the commercial airlines, she trained hundreds of students. In her late sixties, she planned to start an airport in Texas but was denied a bank loan. Undeterred, she borrowed money from friends and blazed a runway across a cotton field. She received numerous aviation awards including the Charles Lindberg Lifetime Achievement Award. 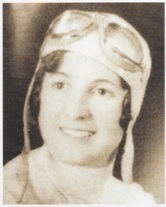 In 1984, she was inducted into the Oklahome Aviation and Space Hall of Fame for her lifetime contributions to aviation. cense under the civilian pilot training program at George Washington University in 1941, and obtained her helicopter pilot rating at Bell Helicopter School in Fort Worth, Texas, in June 1951. Jean became the eighth American woman, and the thirteenth woman in the world, to receive her helicopter pilot rating. In 1943 she received an application for enrollment as an officer candidate in the WAVES, the United States Naval Reserve (Women’s Reserve) from Lt. Comdr. Gerald C. Gross. During World War II Jean served with the American Red Cross as program director of the Air Force Rest Camp on the Isle of Capri. In 1943, prior to her wartime service, she served as a student-trainee with the Women’s Airforce Service Pilots (WASP), and from 1941 to 1943 she was employed as pilot-secretary to the combined office of Aeronca Aircraft Corp., Piper Aircraft Corp., and Taylorcraft Aviation, Inc., in Washington. In 1949 she was appointed First Lieutenant with the Civil Air Patrol. She participated in two transcontinental air races and in one international air race. In 1952 she was appointed an Arthur Godfrey Air Fellow which entitled her to thirty-five hours of flying instruction from Ashburn Flying Service in at the Alexandria Airport in Alexandria, Virginia. 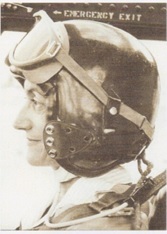 She also became a lifetime member of the Flying Turtle Club after completing the Transcontinental Course from Santa Ana, California, to Wheeling, West Virginia, in the All-Woman Transcontinental Air Race of 1952. In 1953 James H. Doolittle, chairman of the National Committee to Observe the 50th Anniversary of Powered Flight commended Jean Ross Howard for distinguished service to aviation during the Golden Jubilee Celebration of Orville and Wilbur Wright’s first heavier-than-air controlled powered flight. 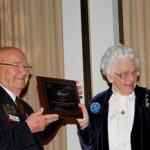 She founded the Whirly-Girls in 1955, and encouraged women from all over the world to become helicopter pilots and supported their love of flying throughout her entire life.